The best ape to aac converter, convert ape to ipod, ape to m4a on Mac. Free format converting between various audios for meeting diversified needs, like convert ape to aac. Lossless audio formats are available to acquire first-class auditory enjoyment. Export output directly to devices like iPod, iPad, iPhone and PSP for great convenience. 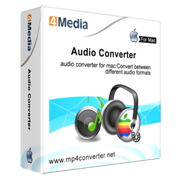 4Media Audio Converter for Mac is an universal and versatile audio conversion software for Mac OS. It can convert audio files from many sources into MP3, WMA, WAV, AAC, FLAC, OGG, APE and etc formats and extract audios from video files like AVI, MPEG, WMV, MP4, FLV, MKV, H.264/MPEG-4 AVC and AVCHD . With various outputs, 4Media Audio Converter for Mac is excellent for almost all popular portable players such as PSP, PS3, iPod, iPhone, Apple TV, Zune, Archos, iRiver PMP, Creative Zen, etc. Not merely an audio convertor, this program also enables you to customize and perfect your output music by providing segment clipping function, effect-appending feature and many other facilitated elements. Optimized CPU usage and efficient code allows for fastest conversion times. Free format converting between various audios, like MP3, WMA, WAV, AAC, FLAC, OGG, APE for meeting diversified needs on Mac. Extract wanted music from videos in any format no matter standard videos or High Definition videos, convert avi to wav. Designed for music big fan, lossless audio formats are available to acquire higher demand on auditory quality. Add more than one output profiles for one source audio file to export to different formats. Provides a series of professional auditory effects, including fade-in/fade-out, Normalize, Band Pass, Chorus, Flanger, Echo to customize or perfect your music. Check the effect of editing in real-time with the streamlined navigation panel. Clip segments of one audio file and output to make your own music. 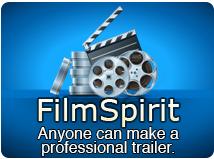 It is your call to split a large audio file to several segments for smooth output. Several manual enhancements can be made to exported audio files, including audio quality, channels, Sample Rate, Volume and so on.